Do you know what you can achieve in as little as 1 week? And so great bread is born — from simple ingredients like flour and water, bacteria, yeasts, enzymes, and acids. This combination will, quite literally, take your bread to new heights. How do you make a sourdough starter? Specifically, a gluten-free one? 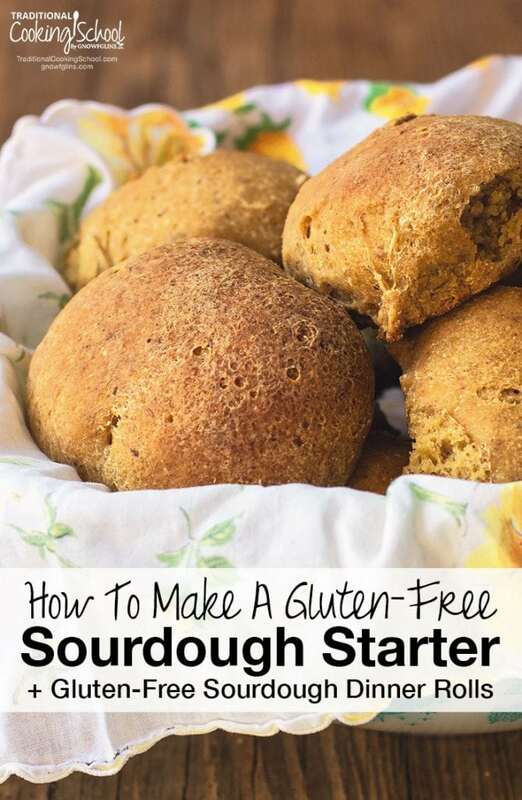 Both the gluten-free sourdough starter instructions and the gluten-free dinner rolls recipe you'll find in this post come from my good friend (and food chemist) Shannon Stonger of Nourishing Days, from her brand-new, utterly beautiful book Traditionally Fermented Foods. Shannon's unpretentious and down-to-earth writing about the beautiful process of fermentation makes it do-able for beginners and oh-so-inspiring for advanced fermenters. I love all her common sense tips; only someone who has really had their hands in hundreds of ferments, as Shannon has, would know how to explain “when is it done?” (so you know what you're looking for) and “what's safe?” (so you can feel confident in what you make). The recipes and mouth-watering photos from Shannon's simple homestead make me long for my own garden to be in summer harvest mode all year long. I can't wait to make ALL her recipes! This is a book I will pour over again and again for fresh inspiration. A big thumbs up from me! 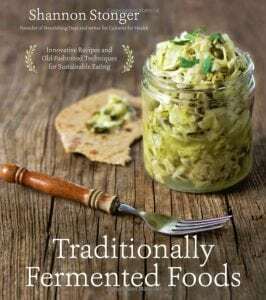 Traditionally Fermented Foods is available now at Amazon.com or other booksellers. Click here for more info or to buy now! Thank you, Shannon, for sharing these recipes here! Combine flour and water in the quart-sized Mason jar. Mix vigorously to incorporate air. Cover with a clean cloth, paper towel, or coffee filter and secure with a rubber band or canning ring. Leave at room temperature (65 to 85 degrees Fahrenheit) for 12 hours. Repeat feedings with 1/2 cup flour and scant 1/2 cup water every 12 hours. During this time, tiny bubbles may form. The starter may start to smell funky or pleasantly sour. Either is fine — forge ahead! By the 3rd day, you may see more yeast activity, like bubbles and noticeably more starter with a few hours after a feeding. Continue to feed every 12 hours. Discard 1/2 of the starter before every feeding. You should see more yeast activity. The starter may double in volume by 4 to 8 hours after a feeding. In addition to its sour aroma, it should smell slightly yeasty. That's the microorganisms finding a balance between yeast and bacteria. We want to continue yeast growth by feeding it on a daily basis. If the starter grows colored molds on top or smells like rotten vegetables, throw it out and start over. This is rare, but you'll know it when you see it! Around day 6 or 7, look for an active, bubbly, doubling sourdough starter with a pleasant sour aroma. At this point, bake with it and feed it again. Then either keep up the maintenance feedings, or stick it in the fridge for up to 1 week, or freeze it for later use. Rich, light, chewy, sweet, soft -- these are dinner rolls at their finest! They're also sourdough and gluten-free! Makes 12 rolls. Shared with permission from Shannon Stonger's book Traditionally Fermented Foods. Combine eggs, milk, water, melted fat, honey, and sourdough starter in a medium bowl. In a separate bowl, whisk together salt, flours, psyllium husk, and ground flaxseed. Add the flour mixture to the liquid mixture and mix together until combined. Using a wooden spoon or the paddle attachment of an electric mixer, beat the dough for an additional 5 minutes to strengthen it and incorporate air. Cover and allow to ferment at room temperature for 6 to 8 hours or overnight. After souring, the dough will have risen by approximately 50%. Two hours before baking, uncover the fermented dough. Divide it into 12 pieces, working carefully so the dough doesn't deflate too much. Gently form each piece of dough into a rounded dinner roll shape. Cover with plastic wrap or a lightly dampened towel. Allow to rise for 2 hours until the rolls have puffed up slightly. Once preheated, uncover the rolls and place them in the hot oven. Bake for 20 to 25 minutes or until golden and cooked through. Have you ever tried gluten-free sourdough? What is the healthiest gluten free flour to use for sourdough? Is sorghum flour better than brown rice flour? It’s best to use a blend of flour for gluten-free (for best results and performance) and for health it’s best to use as much whole grain (sorghum, brown rice, etc.) and less of the pure starches (potato starch, corn starch, arrowroot, etc.). I would like to try this but it seems there is something missing. Where does the yeast come in? Or does just mixing the flour and water create yeast? I had a sourdough starter years ago and I remember feeding it sugar. We called him Herman. The gluten-free starter that you make is the yeast. You’ll make that first (days 1 – 7) and then use the starter as the natural yeast in your rolls. And then you feed it with the flour. As I said I had a starter years ago but they had us feed it with sugar and someone gave me the start so I thought it had been started with a packet of yeast. I’ll have to try this. The yeast is naturally present on most organic material, grapes, apples, wheat, etc, its practically everywhere. The bacteria does not transform into the yeast, it acts as a balance to it and helps the yeast thrive by eating materials in the starter that the yeast do not, and produce the acid which gives it the distinct sourdough smell and taste, yeast is actually a mold. Instruction #6 in the above recipe starts out “hours before baking, uncover the fermented dough.” How many hours before baking? I am assuming 2 hours from another line of instruction, but as the sentence begins mid-stream– I would like to know for sure. I have a friend that is GF and I believe this recipe would be helpful for her. Thank you for all the work and encouragement you give so many. I am unable to use ground flaxseed due to a thyroid problem. What could I substitute instead. Yes, that’s what I was going to say, Wardee! can I sub out the psyllium husk? it does not do so well for me. Can this starter be used in the recipes from your original book? 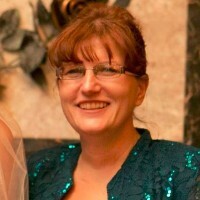 With a diagnosis of celiac we are now GF but I’d like to still make all the great recipes! This gluten-free sourdough starter can be used with any gluten-free sourdough recipe. How would you replace eggs in this recipe? I am also vegan. Thank you! try aquafava (water from cooked or canned beans) – whip it up – fold it in – I haven’t tried it in this recipe, but it works great elsewhere. Good luck! I use a mixture of kamut, spelt, and buckwheat flour that I grind myself. My starter has gone bad. Could I use this recipe to make starter with the flour blend I use? I think your blend would work just fine! If you try it, please let us know how it turns out! 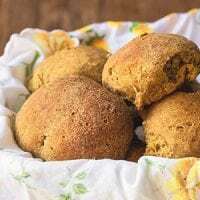 Is there a substitute for millet flour and psyllium husk power in the gluten free sourdough dinner rolls? I think you could sub the millet flour with another gluten-free flour, but the psyllium husk powder has special properties that make this recipe work well. I don’t think it can be subbed. I’m confused. The recipe is for gluten-free sourdough bread rolls, and the instructions for making sourdough say nothing about sweet brown rice starter but the recipe calls for 1/2 c. gluten-free brown rice boosted sourdough starter. When you click on the link, it goes back up to the top to make a GF sourdough starter with teff, sorghum, or buckwheat flour and water. Where does the brown rice come in? When you say ”Discard 1/2 of the starter before every feeding” do you mean that I get rid of half of the flour and water that I’ve been mixing together for the past 3 days? I noticed some liquid at the top of the mixture, is that what you mean or is that just water accumulation? Sorry, I’m really new at baking!